Accident insurance was first offered in the United States by the Franklin Health Assurance Company of Massachusetts. This firm, founded in 1850, offered insurance against injuries arising from railroad and steamboat accidents. Sixty organizations were offering accident insurance in the US by 1866, but the industry consolidated rapidly soon thereafter. While there were earlier experiments, the origins of sickness coverage in the US effectively date from 1890. The first employer-sponsored group disability policy was issued in 1911, but this plan's primary purpose was replacing wages lost due to an inability to work, not medical expenses. In the 1930s, The Roosevelt Administration explored possibilities for creating a national health insurance program, while it was designing the Social Security system. But it abandoned the project because the American Medical Association(AMA) fiercely opposed it, along with all forms of health insurance at that time. The rise of employer-sponsored coverageEmployer-sponsored health insurance plans dramatically expanded as a direct result of wage controls imposed by the federal government during World War II. The labor market was tight because of the increased demand for goods and decreased supply of workers during the war. Federally imposed wage and price controls prohibited manufacturers and other employers from raising wages enough to attract workers. When the War Labor Board declared that fringe benefits, such as sick leave and health insurance, did not count as wages for the purpose of wage controls, employers responded with significantly increased offers of fringe benefits, especially health care coverage, to attract workers. Foreseeing a long and costly political battle, many labor unions chose to campaign for employer-sponsored coverage, which they saw as a less desirable but more achievable goal, and as coverage expanded the national insurance system lost political momentum and ultimately failed to pass. Between 1940 and 1960, the total number of people enrolled in health insurance plans grew seven-fold, from 20,662,000 to 142,334,000, and by 1958, 75% of Americans had some form of health coverage. The blue line indicates per capita Social Security expenditure (in 2010 dollars), while the red line indicates the percentage of the population aged 65 or older with an income at or below the poverty line. Still, private insurance remained unaffordable or simply unavailable to many, including the poor, the unemployed, and the elderly. Before 1965, only half of seniors had health care coverage, and they paid three times as much as younger adults, despite having lower incomes. 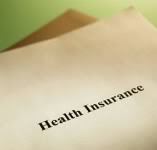 Consequently, interest persisted in creating public health insurance for those left out of the private marketplace. The 1960 Kerr-Mills Act provided matching funds to states assisting patients with their medical bills. In the early 1960s, Congress rejected a plan to subsidize private coverage for people with Social Security as unworkable, and an amendment to the Social Security Act creating a publicly run alternative was proposed. Finally, President Lyndon B. Johnson signed the Medicare and Medicaid programs into law in 1965, creating publicly run insurance for the elderly and the poor. Medicare was later expanded to cover people with disabilities, end-stage renal disease, and ALS. The program has helped dramatically reduce poverty among seniors since its inception more than 45 years ago,while containing costs more effectively than the private sector. Towards universal coveragePersistent lack of insurance among many working Americans continued to create pressure for a comprehensive national health insurance system. In the early 1970s, there was fierce debate between two alternative models for universal coverage. Senator Ted Kennedy proposed a universal single-payer system, while President Nixon countered with his own proposal based on mandates and incentives for employers to provide coverage while expanding publicly run coverage for low-wage workers and the unemployed. Compromise was never reached, and Nixon’s resignation and a series of economic problems later in the decade diverted Congress’s attention away from health reform. Shortly after his inauguration, President Clinton offered a new proposal for a universal health insurance system. Like Nixon’s plan, Clinton’s relied on mandates, both for individuals and for insurers, along with subsidies for people who could not afford insurance. The bill would have also created “health-purchasing alliances” to pool risk among multiple businesses and large groups of individuals. The plan was staunchly opposed by the insurance industry and employers’ groups and received only mild support from liberal groups, particularly unions, which preferred a single payer system. Ultimately it failed after the Republican takeover of Congress in 1994. Finally achieving universal health coverage remained a top priority among Democrats, and passing a health reform bill was one of the Obama Administration’s top priorities. The Patient Protection and Affordable Care Act was similar to the Nixon and Clinton plans, mandating coverage, penalizing employers who failed to provide it, and creating mechanisms for people to pool risk and buy insurance collectively. Earlier versions of the bill included a publicly run insurer that could compete to cover those without employer sponsored coverage (the so-called public option), but this was ultimately stripped to secure the support of moderates. The bill passed in March 2010.